Browse our site for Oldsmobile Intrigue keyless remotes Savings up to 75% OFF dealership cost. We have your replacement Intrigue key fobs in stock and ready for next day shipment. 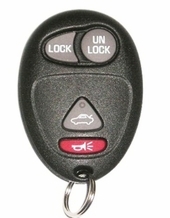 Get remote control covers, transmitters and transponder chip keys sold with 90 day money back guarantee. 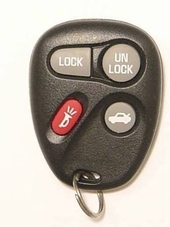 Purchase ORIGINAL GM replacement Oldsmobile Intrigue remote keys for less. Call us 866-690-4308 toll free.